Wednesday, June 24, 2015: News reached us today that a giant, an icon, a pioneer, a trailblazer, a colossus, a gem, and an inspirational leader in the Nigeria physiotherapy community has passed on to glory. We regret to announce the transition of Professor Vincent Babatunde Chukumeka Nwuga to eternal glory today, Wednesday June 24, 2015. We regret his loss because he was so dear to our hearts, but we celebrate his life, because his wonderful works in the physiotherapy and medical world lives on. Professor Vincent Babatunde Chukumeka Nwuga was born on April 22, 1939 in Enugu, Nigeria to Mr Christopher Aniemeka Nwuga from Umuezei quarters, a genealogical family of Idumogei family and Mrs Agness Nwuga (Nee Okolo) from Umuago quarters both in Asaba in Oshimili Local Government Area in the then Western Region of Nigeria (which became, Mid-West, Bendel states, and presently Delta State of Nigeria). Prof. Nwuga’s mother was a primary school teacher and his father a civil servant with the Federal Ministry of Finance having earned a London Matriculation Examination Certificate which at the time was a highly regarded credential. Both parents were Christians of Roman Catholic Faith. History has it that Nwuga had a great uncle, who was an adviser to Lord Frederick Lugard, the first Governor-General of the Nigeria (1914-1919), suggesting a track record of public service and academic achievements of the Nwuga family. Nwuga’s parents relocated to Lagos from Enugu when was barely two weeks old. He therefore spent his childhood and early adulthood in Lagos. This immensely contributed to his diverse cultural perspectives to life. His ancestry Igbo last-named, ‘Nwuga’ may disguise his deep Yoruba cultural immersion. In fact, his middle name is ‘Babatunde’, a Yoruba name. Nwuga is the first of seven other siblings; four brothers including Anthony, Okenyi and Thomas (late) and four sisters, Ifeanyi, Justina, Nwabuego and Ononeyi. Nwuga lived most part of his life in Western parts of Nigeria including, Lagos, Osogbo, Ile-Ife and its environs, only paying occasional visits to Asaba his ancestral home. Nwuga attended Holy Cross Catholic Primary School (1945-1952), and St. Gregory’s College Lagos (1953-1958) for his secondary (High) school education. Upon passing his Cambridge School Certificate, he proceeded to the United Kingdom in 1961 for his Higher School Certificate in Physics, Biology and Chemistry at the Polytechnic, Harrogate, in Yorkshire. Nwuga attended the Royal Herbert Hospital School of Physiotherapy in Woolwich, and became a member of the Chartered Society of Physiotherapy (CSP). 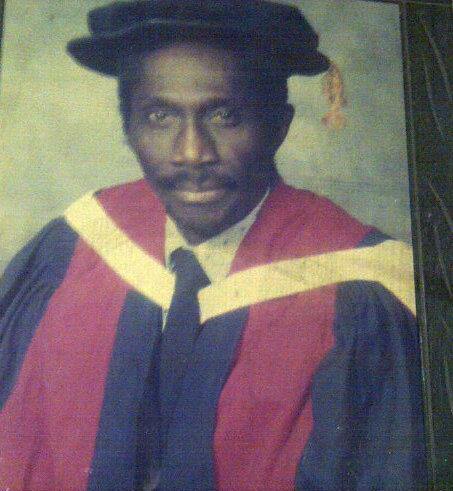 Nwuga proceeded to Canada where he earned a Bachelor's degree in Physical Therapy (BPT) in 1971, and a Master's degree in Physical Medicine in 1974 from the United State of America. Nwuga completed his PhD work in 2.5 years (compared to average 4 years completion time) at the University of Ife now Obafemi Awolowo University, Ile-Ife, Nigeria under the late Professor T. Adesanya Ige Grillo. In 1977, Nwuga became the pioneer head, and founder of the Department of Medical Rehabilitation at the University of Ife, now Obafemi Awolowo University. On Friday June 26, 2015, at a timely gathering of Ife Physical Therapy Alumni USA Conference in Orlando, FL, a more appropriate Eulogy for our hero now gone was best presented by one of his prodigy protégé, Professor Joseph A Balogun. Please click on the link below to read more about the many achievements of Professor Nwuga as seen from close range by Professor JA Balogun. The First Nwuga Physiotherapy Foundation Inaugural Lecture by Professor Chukuka Enwemeka - 10.00am – 2.00pm. Funeral Service: Saints Peter and Paul Catholic Church, Lagere, Ile-Ife. Friday 24, 2015, Time 10 am. Or the Catholic Church within OAU is also being considered. Internment: OAU burial ground - Immediately after the church service. Credits: SIgnificant portions of Nwuga's biography written above was taken from the book authored by Dr. Michael Egwu titled "Nwuga V.C.B. : The Success Story of the First African Professor of Physiotherapy"